Want to soak up some live music goodness this summer? Here are just a handful of gigs we don’t want you to miss over the next few months. Back in 2015, southern lads Muse took their ambitious ‘Drones’ tour across the globe, where they performed their repertoire of hits in the round. Throughout every gig, the band had drones soaring in and around the stage, flying autonomously while they performed hits including ‘Plug in Baby’, ‘Supermassive Black Hole’ and ‘Knights of Cydonia’. The Showroom cinema will be showing footage from the tour, which includes never-before-seen special effects and exclusive insights into the band itself. The New York Times has described the Muse live experience as “an endless build-up, heading for one peak after another — is what a Muse concert sets out to deliver by every means available.” Tickets are £12, and can be booked here. Sheffield-based songwriter and pianist Francess and her energetic band return to the city fresh off their recent UK tour, and will be debuting new material for their biggest show to date. Head to The Leadmill this Saturday to enjoy powerful vocals, witty lyrics and foot-tapping tunes. Get your £6 tickets here. Catch Hertfordshire four-piece rock band, The Hunna as they play an intimate show at Plug to celebrate the launch of their forthcoming album ‘Dare’ (out 13 July). Tickets available here. As Tramlines celebrates its 10th birthday and also makes its move to Hillsborough Park later this month, Sheffield city centre will be hosting various live music events, in an effort to complement the festival, and to bring that ‘festival feel’ into the city. Tramlines Events Ltd, Sheffield City Council, Sheffield Business Improvement District (BID) and the University of Sheffield are working in partnership to support the thriving weekend festival, and will be providing family friendly outdoor music, films and activities under The Fringe At Tramlines brand. You can find out more on the line-up and programme of free events taking place across the city here. For events taking place in other venues, Exposed Magazine has produced a detailed run-down of events. Puppy band will be stopping off in Sheffield next month as they bring their World Tour to Corporation on 3 August. The heavy metal band formed in late 2014, and have since built a reputation as musicians who are unafraid of bringing different musical influences to the forefront of their music, mixing soft vocals with crushing riffs – appealing to indie kids and headbangers alike. Get your tickets here. The originators of ska, rocksteady and reggae, The Skatalites bring their feel-good music to Plug, with support from Jungle Lion, Solar Love Society and Trojan Explosion DJs. Tickets here. 💥NEW SHOW💥 We’re super excited to welcome @themagicgang back to Sheffield. They’re playing @plugsheffield September 28th, tickets on sale Friday 9am! Seattle quartet Walking Papers will bring their tour to Corporation in September, and will no doubt be showcasing their most recent album, WP2, which was released back in January. Tickets here. London six-piece band Molotov Jukebox will be bringing the noise to The Leadmill on 21 September. Fronted by internationally-acclaimed actress Natalia Tena, the band will again prove that dancing has no borders with their bi-lingual fiesta floor fillers. Since releasing their second album, Tropical Gypsy, in April, the band’s Balkan fiddle, powerful Latin trumpet and overall pounding rhythm is guaranteed to get you moving. Get your tickets here. With three Radio 1 Hottest Records under their belts, The Magic Gang will no doubt be pinching themselves as they continue to reach new heights, having performed previously in support of Wolf Alice and Sundara Karma. This time they’ll be showcasing their self-titled debut album at Plug in September. The album, which promises to be brimming with uplifting pop hooks, sweet vocal harmonies and youthful exuberance, seems to tick all the right boxes, and will no doubt be a hit with crowds as it’s played live in one of the city’s most iconic venues for bands – some may say a right of passage for the band. 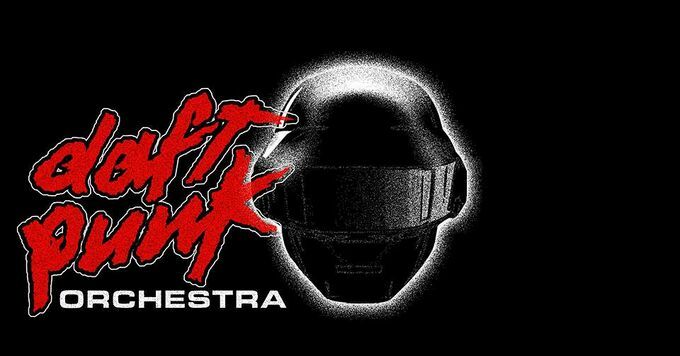 Following incredible public demand and over 30 sold-out shows in London, the 13-piece Daft Punk Orchestra will re-work some of the electronic duo’s best-known tracks at Sheffield’s O2 Academy. Lose yourself in the music as some of the UK’s most sought-after musicians perform Daft Punk’s repertoire of hits, this time in a whole new light. Tickets start at £14, and are available here – be quick!